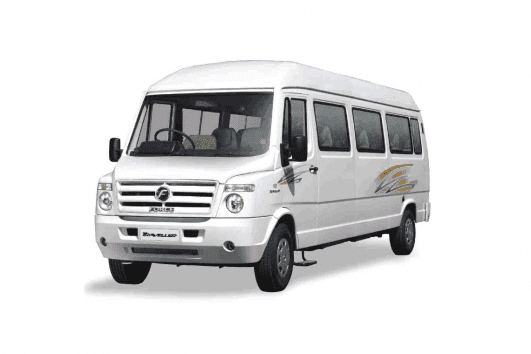 Blue Bird Travels assures you “Tour De Kochi” starts right at the moment from your arrival at Cochin International Airport (CIAL) or at the two Railway Stations – Ernakulam South and Ernakulam North. Our stellar transportation management system ensures the perfect start for your vacation. One day trip of Kochi will let you visit the iconic Fort Kochi, Legendary Hill Palace and lively shopping malls in Kochi. Fort Kochi is unique with its cultural heritage and architectural beauty. The colonial era has contributed much of the buildings that we heed to in Fort Kochi. At every joint you will see a mansion of some great historical significance. In these buildings, the most important decisions which defined the fate of a group of settlers in the princely state of Kochi were taken. The main business communities of Kochi – Konkanis, Gujaratis, Punjabis, they are all settled in and around Mattancherry and Fort Kochi. This makes the place a melting pot of cultures. Fort Kochi is a place best explored by walk. This place is full of history, architecture, colonial remnants and a lot many cultures. Enjoying the sea breeze and walking through Fort Kochi is a satisfying experience. Emanuel Fort is a living testimony of friendship ties between the princely state of Kochi and Portuguese. Built in 1503 AD, Emanuel Fort was refurbished in 1538 AD. This cemetery is in use since 1724 AD. Salute to scores of Europeans who set sail to hoist the flag of expansion all over the world by forming colonies and it was all for earning fame and fortune rewarded by the Kings and Clergy. Thakur house was also known as Kunal and hill Bungalow. The manager of the National Bank of India resided here under the British rule. The present owner of this building is Thakur and Company, famous Tea-dust producers. The colonial mansion, David Hall was built in 1695 AD by Dutch East India Company. This building was closely connected with the Dutch Commander Hendrik van Rheede. He wrote the book Hortus Malabaricus that tells about the vivid flora and fauna of Kerala. Later this building got into the hands of David Koder and thus the name David Hall. This is where the Portuguese military used to march. After the Portuguese era, Parade ground was used by the Dutch and British also. This place of divinity has got huge significance in the history of not just Kochi, but of Kerala and India also. This church was built by Portuguese in 1503 AD. Vasco Da Gama’s corpse was first entombed here before transferring it to Portugal. His memorial stone can still be found in the church. By the Church road, you will find the famous Cochin Club. It has a good library and a well maintained garden. It takes you back to the British Colonial era. In the Church road lane, another building inviting your attention is Bastion Bungalow. This huge building flaunts Indo-European Architectural excellence. Presently, it is the residence of the Collector of Kochi. Near to Bastion Bungalow, there is Vasco Da Gama square. It is a great experience to walk carelessly and enjoy the street food delicacies at this place. 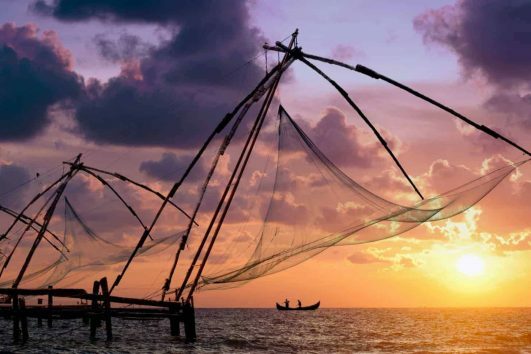 Chinese fishing nets were introduced to Kochi by traders from Kublai Khan’s empire. The princely state of Kochi has good trade relations with even farthest empires of the world even with China. Pierce Leslie, once famous coffee traders had built their head quarters here, Pierce Leslie Bungalow. It’s a must-visit site. It was built in 1808 AD by then famous Tea brokers Carrit Moran. In the same year another beautiful building was built by Samuel S Koder of Cochin Electric Company, Koder house. All these buildings present us a remarkable combination of Colonial and Indo-European architecture. There are hotels and restaurants which serve the best delicacies that only this tourist destination in Kerala is home to. It is much different from what you experience in other places to visit in Kerala. One of the oldest street it is, lined by European style houses on both sides, it’s simply great to walk through. On the same street you can find Loafer’s corner. Head south from Loafer’s corner and there is Santa Cruz Basilica. Built by Portuguese, in 1558 AD, Pope Paul IV Promoted it to Cathedral status. In 1984, Pope John Paul II declared it a Basilica. Now, off to Burger street and there you will see Delta Study center, now its a High School and you will reach Rose street via Princess street itself. In Rose street, there is Vasco house, the stay of Vasco Da Gama. It is one of the oldest Portuguese houses in Kochi. VOC gate is in Ridsdale road. Its a wooden gate opposite to Parade ground built by Dutch in 1740 AD. It bears Dutch East Company emblem. United club is near by. Once a popular joint among high profile Britishers in Kochi. Currently it is is use as a class room of St. Francis primary school. It is located near Thripunithura, Kochi near Karingachira. Hill palace is the largest archeological museum in Kerala. It was built in 1865 by the Maharaja of Kochi. It housed the administrative offices and residential building spread across 49 buildings in the same compound. The main attractions are archeological museum, deer park, pre-historic park and children’s park. Several rare species of medicinal plants are grown there. The museum is under the authority of The Kerala State Archeology Department. Open to public all days except Mondays from 9:00 am to 12:30 pm and 2:00 pm to 5:00 pm. Approachable by road and rail. Marine Drive is a popular hangout for local people as well as travelers to Kochi. It presents you with a picturesque promenade facing the backwaters of Kochi. It has a walkway of about 3 kilometers.The backdrop of this place is the backwaters, with ships anchored at the harbor and that interests the tourists even more. The walkway is filled with people during the evening who visit the place to have the view of the sun setting over the calm sea. Rainbow Bridge is the latest addition to the beauty of this place and that attracts lot of tourists. There is also a children’s park built near Marine Drive. Lulu Mall – India’s largest shopping mall, Lulu is an attraction in its own right with people coming from all over to shop here, hang out in the food courts or cinema, go ice-skating or tenpin bowling. Sprawling over 7 hectares, this state-of-the-art air-con, the wi-fi-connected mall has more than 215 brand outlets from Calvin Klein to KFC. It’s in Edapally, about 9km from the Ernakulam boat jetty. Niraamya – Popular throughout Kerala, Niraamaya sells ‘ayurvedic’ clothing and fabrics – all made of organic cotton, colored with natural herb dyes, or infused with Ayurvedic oils. There’s another branch in Mattancherry. Idiom Bookshop – Huge range of quality new and used books in Fort Cochin. Tribes India – Tucked behind the post office, this Tribal Cooperative Marketing Development Federation of India)enterprise sells tribal artifacts, paintings, shawls, figurines and more at reasonable fixed prices, with the profits going towards supporting the artisans. Centre Square Mall – In central Ernakulam, this flashy new mall is smaller than Lulu Mall in Edapally but still has six floors of shopping, including a top-floor food court and bowling alley, as well as a cinema. Cinnamon – Cinnamon sells gorgeous Indian-designed clothing, jjewelryand homewares in an ultrachic white retail space. Fabindia – This renowned brand has fine Indian textiles, fabrics, clothes and household linen. 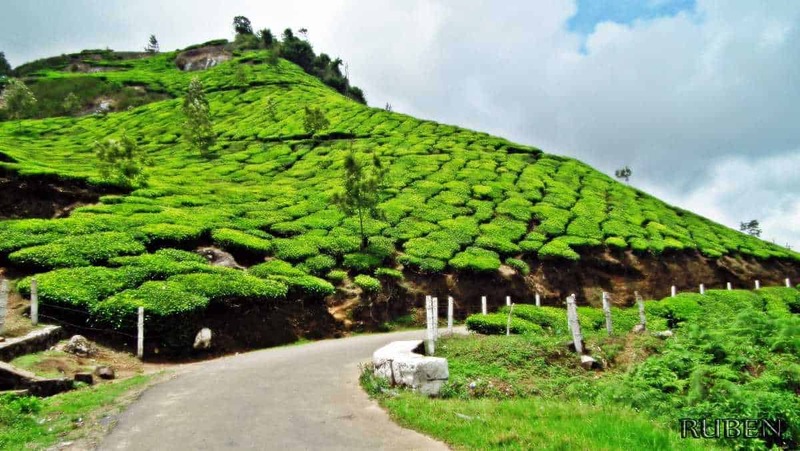 Munnar is in Idukki district of Kerala. On the way at Neriyamangalam, you will cross the Periyar river and then starts the high range. Roads will start winding and climate gets cooler. There are many rare places on the way before reaching Munnar. Cheeyappara waterfalls is one of them. Cheeyappara waterfalls is located between Adimali and Nariyamangalam. This waterfall is at a height of more than 1000 ft above the sea level. It has seven steps. Surrounding bushes adds on to the beauty of the waterfall. This waterfall has its largest water volume during the period June to August. The rocky terrain gives adventure-lovers an opportunity to do trekking. Seven steps give it a cascading effect and it sounds like to music to the ears. The sight is a favorite for photographers. The engulfing effect of the bushy hills on the waterfalls presents a wonderful background for photographs. Next stop will be Adimali, a major town in Idukki District. For last minute major shopping before reaching Munnar can be done at Adimali. First day’s trip ends with check-in at Hotel in Munnar. 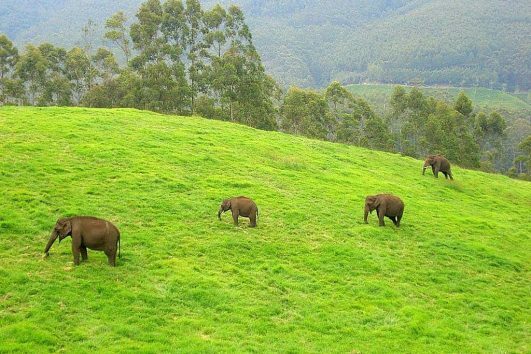 Eravikulam national Park is a famous destination in Munnar. This National Park is the abode of an endangered deer species called Nilgiri Thar. This park is first of its kind in Kerala. The park is spread over 97 sq. km. The largest viable population of Nilgiri Tahr in India is seen in this park. Not just Nilgiri Tahr, Eravikulam National Park is home for several other species of rare animals, birds and butterflies. From the park, you can see layers and layers of tea plantations and hills caressed by mist. Once in 12 years, the hills slopes get covered by by Neelakurinji which looks like a blue carpet covering the hills. It is an awesome sight travelers and the park gets more visitors during that period. Anamudi at an elevation of 2695 meters above sea level is the highest peak in Western Ghats and South India. The name Anamudi when translated to local language Malayalam means “elephant’s forehead”. The mountain itself resembles the shape of an elephant’s forehead. Entry point is from the confinement of Eravikulam National Park from where you can climb toward the peak. But unfortunately it is not allowed to climb until the highest point of the peak due to security reasons. Authorities offer transport in their vehicle to some distance where the drivable section of the road ends. From there it’s an absolute delight for people who enjoy trekking. Tickets can be booked online. It is strongly suggested to book it at least two days before to avoid waiting in the queue. There is no need to take any permission from Forest Department. Mattupetty Gravity dam is a famous destination to visit in Munnar. Water is clean and deep blue in color. Dam is surrounded by lush green dense forest. Main activity you can indulge in is boating and sight-seeing. This place is getting increasingly commercialized, but the infrastructure is still in its developing state. A visit to Mattupetty dam has to be well planned in advance owing to usual traffic jam that one would face in the last 3 to 4 kilometers. Summer holidays see heavy rush, otherwise it is a very calm and peaceful place to enjoy some quality leisure time. Until you visit Museum in Munnar, you would never know Tea had such a long history. Staffs over there are very kind and will explain even the minutest detail of the tea making process. A documentary about Kannan Devan Tea plantations is also shown to the visitors. Entry fee and Camera fee are applicable at this place. Inside the campus there are shops which sell local specialties like spicy chocolate and different varieties of tea. The museum holds a fantastic collection of antiques. Today after breakfast check out from hotel and drive to Kochi Airport / Railway Station for onward journey.